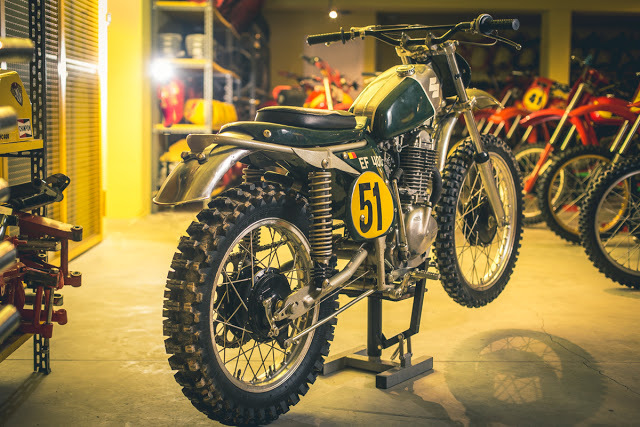 Today we are featuring a motorcycle which is discovered by Italian Dream Motorcycle. This motorcycle is completely hand built. They have been researching on vintage motorcycling competitions. 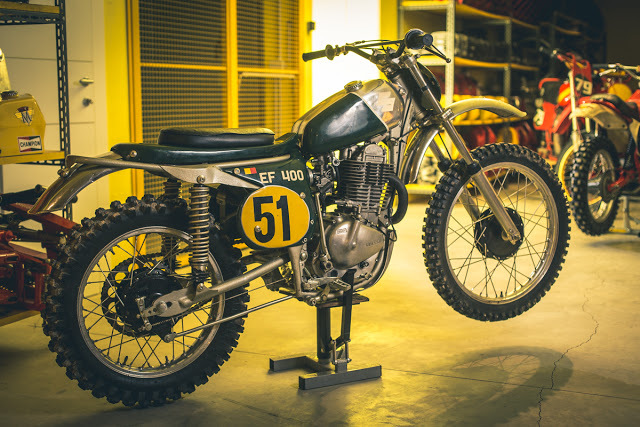 While researching they found a bike was built in the late '70s in all its parts, with the exception of the engine (Suzuki DR 400) the aluminum tank (which was obtained by re-adapting that of a Husqvarna, which has been reduced and re-heated) and the saddle (which is taken by an Ossa). The IDM SUZUKI EF400BB is absolutely consistent with their vision of motorcycles. It is built with attention to every small detail, and has been made high-performance, a feature that still retains today. 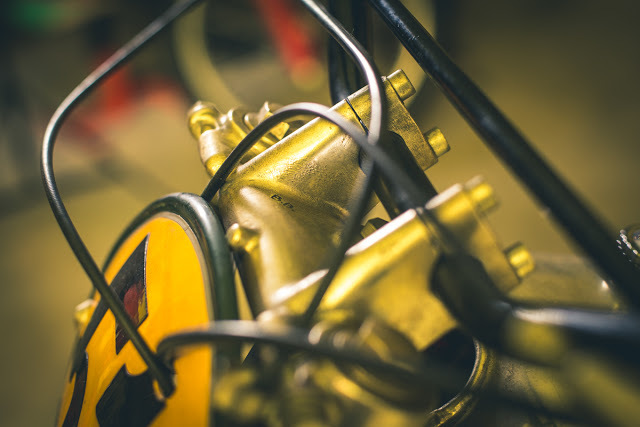 The Belgian craftsman who built it was a frame builder, and wanted to make a bike to run and win the races. 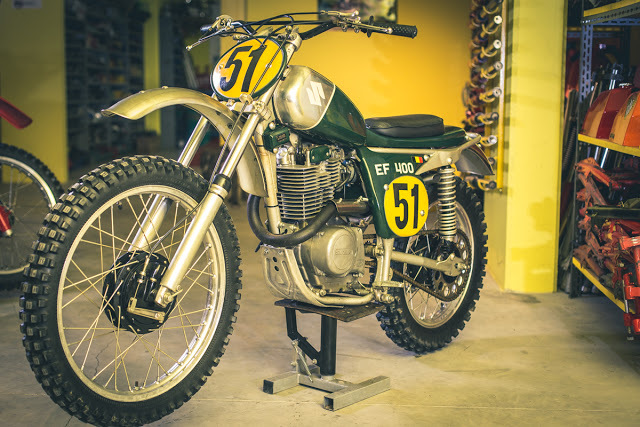 This cross special that has an absolutely current design and style, in the context of the vintage-offroad fashion, was built so that each component contributes to the best possible competitive performance. It is rich in particular highly innovative details for its time. 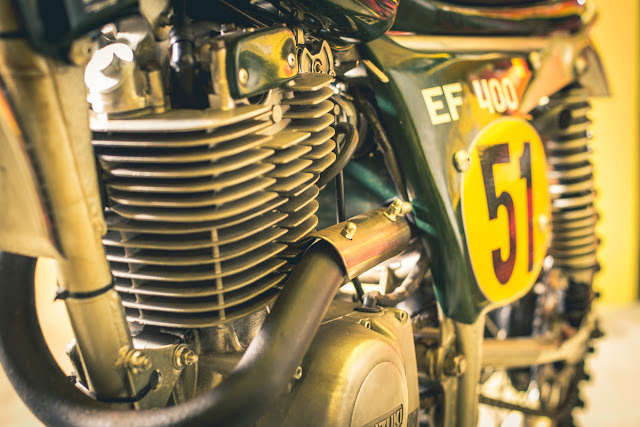 The engine is a suzuki 400 four-stroke engine with Mukin carburetors. The frame is made by hand in iron and aluminum. The steering plates which are cast and engraved the initials of the manufacturer B.B. they have built-in handlebar mounts to make driving more responsive. The front forks are made by hand, as well as the rear suspensions made with a cooling system to have a better activity despite the stresses. The exhaust pipe that is beautiful in its simplicity, and 'amazing for the time it was made, hides the expansion near the aluminum filter box like the current ones, making it not only more cool, but also safer, and there they guarantee that it makes fire and flames. The foot brackets are machined from solid, and are adjustable with a double attachment to be able to have an optimal driving position. The bike that has a very first generation electronic ignition, obviously has the kick start, which turns on the engine at the first shot. This master piece, besides being extremely captivating and current, both for its performances and for the his style, shines because it shows the soul of Beyens who built it realizing the his dream. The IDM SUZUKI EF400BB even if it deserves to be kept as a piece to collect, and 'extremely versatile in its use and still highly performing. it is for sale at € 25,000.